I’m going to start off by saying I’m not a big fan of French Toast. 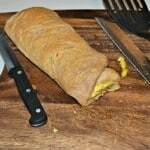 Dipping bread into a liquid mixture and then putting it in a pan for a few minutes does not cook it enough for me. I’ve done a few French Toast bakes which I enjoy so much better because I like a little bit of crunch to my bread if I’m going to eat French Toast. I also like to add some flavors to make it even better. This time around I made Caramel Walnut Baked French Toast. I was excited to try it because it bakes in the oven for 25 minutes or so and I figured that would be enough time for the edges to get crispy. Plus, who doesn’t like homemade caramel sauce? 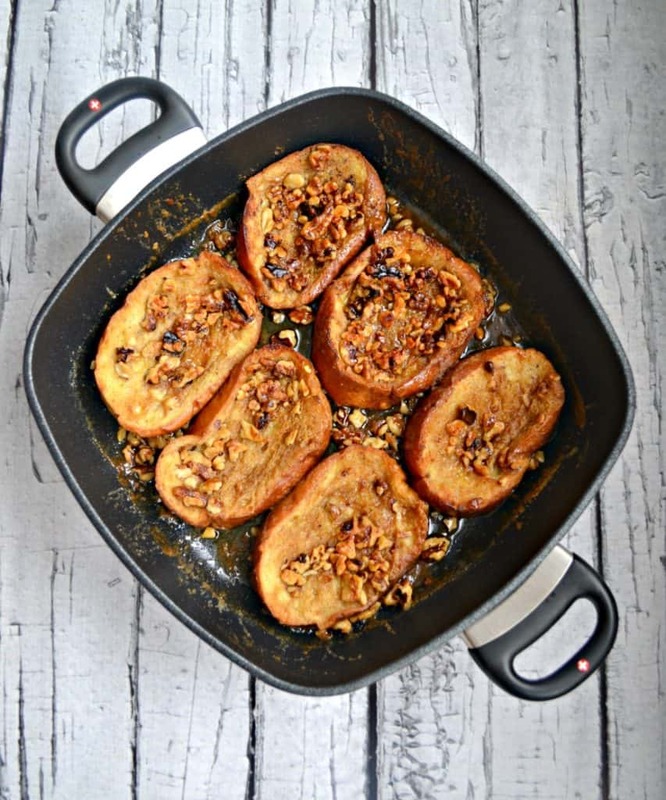 This recipe makes a caramel sauce topped with walnuts and the French Toast is baked on top of it. I used my Swiss Diamond XD Nonstick Square Casserole to make this dish so that it could all be made in one dish. Normally I would have to mix up the caramel sauce in a saucepan and transfer it to my baking sheet but this casserole allowed me to do it all in one pan. I love all the Swiss Diamond Cookware that I currently have and this pan is no exception. The new new Swiss Diamond XD nonstick coating contains 20 percent more diamonds which improves the pans food release properties and heat conductivity and it has an extra thick, cast aluminum body. I love that it goes from stove-top to the oven up to 500 degrees. I melted the butter and made the caramel sauce in my pan on the stove top. Then I dipped the bread into the French Toast mixture and placed it inside the pan. I baked the toast, flipped it over, and baked it some more. The smell of this dish made my mouth water as soon as I opened up the oven. The French Toast was golden brown and was covered in the caramel and walnuts. 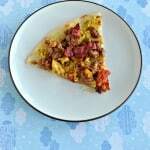 I immediately put a slice on a plate for myself and carried one out to my husband. I didn’t need to add any syrup or powdered sugar or anything to this French Toast. It was perfect as it was. The toast was crisp on the outside but soft on the inside. The caramel sauce was sticky and kept the walnuts from falling off the bread. The walnuts gave the dish an added crunch and the spices really shown through. This French Toast would be awesome to serve at a breakfast or brunch because it’s super easy to make and it’s pretty impressive once it’s finished. I also think it would be awesome as a dessert with a scoop on vanilla ice cream and a drizzle of caramel sauce on top! Baked French Toast in homemade caramel sauce sprinkled with walnuts. In an oven proof pan heat the butter on the stove top over medium heat until melted. Add in the brown sugar and stir until mostly combined. Remove from heat and stir in the vanilla and walnuts making sure the mixture evenly coats the bottom of the pan. In a medium bowl combine the eggs, milk, vanilla, cinnamon, and salt. Mix well. 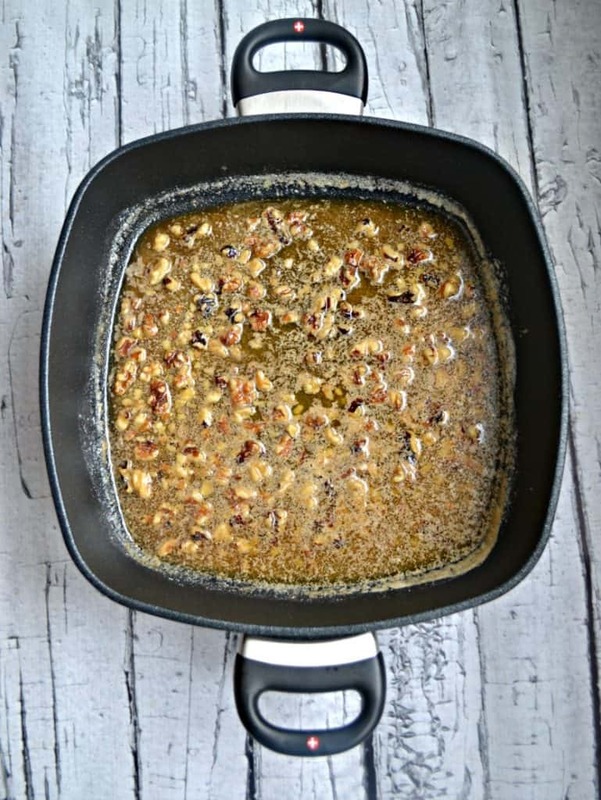 Dip each slice of bread into the egg mixture and then set in the pan on top of the caramel and walnuts. Bake for 15 minutes. Remove from oven and carefully flip each piece over. Bake for another 10-15 minutes or until the French Toast is golden brown. Remove from oven and enjoy immediately. How could you not turn into a French Toast fan with this walnut studded goodness staring you in the face! Just look at all of that caramel goodness! I wish I had a slice now! 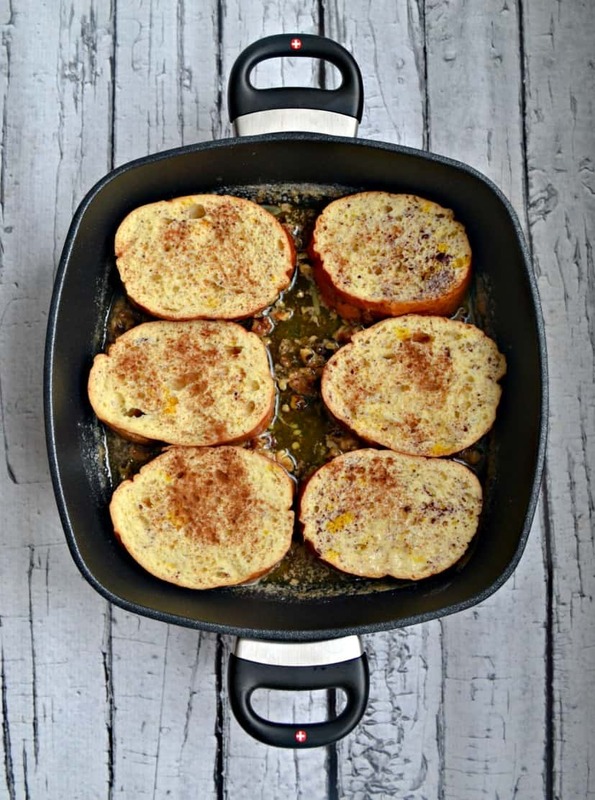 I’m a big fan of French toast casseroles! This one sounds so delicious – the caramel is a great idea! 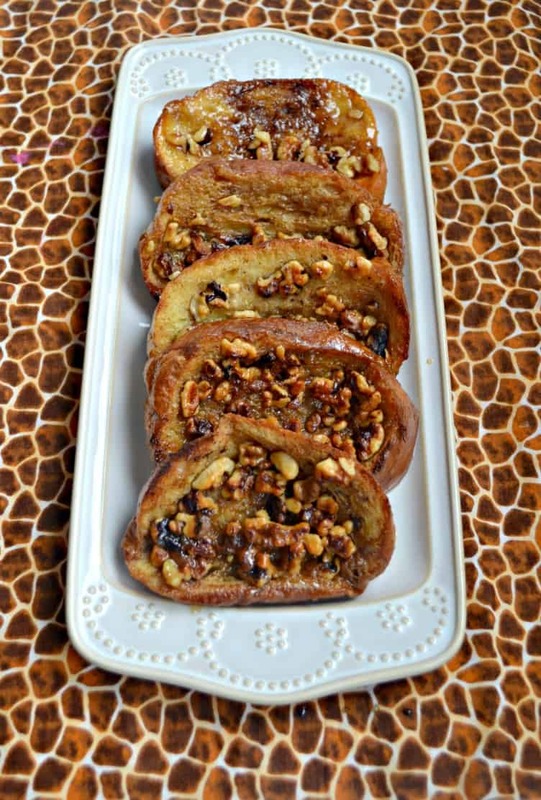 Drooling over this caramel walnut French toast! It looks so good! SO GOOD! Totally making this next time I host brunch! 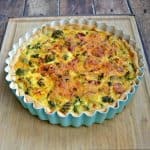 I am sooo all over this recipe! keeper for sure! This just sounds incredible! I want to eat it now! I have no patience when it comes to good food. Walnuts are so good! I wish more people used them in their recipes. Swiss Diamond really does have amazing non-stick cookware. Perfect for sticky caramel like this French toast. 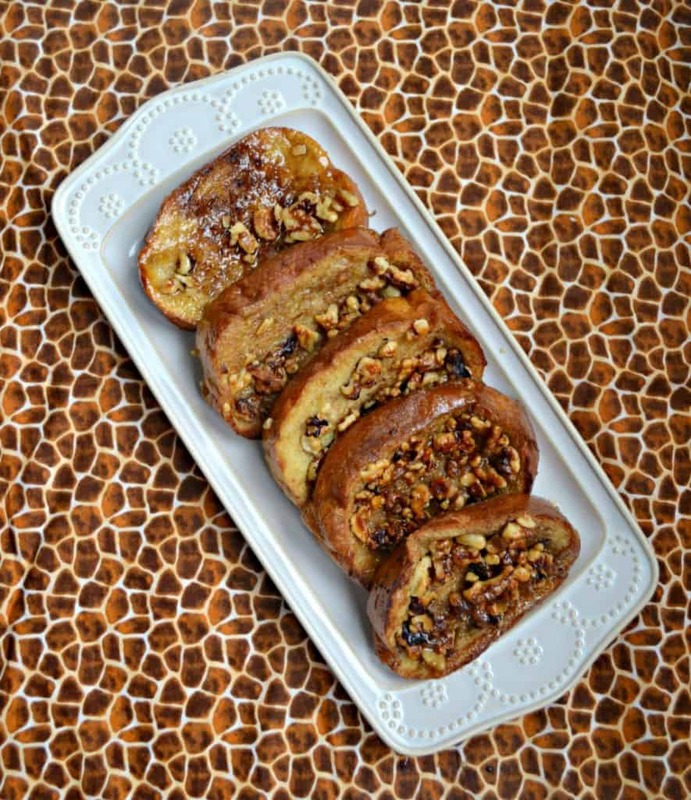 This looks like such a decadent french toast, and I love the added crunch from the walnuts! 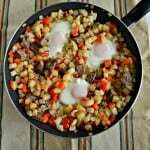 What a perfect breakfast for a weekend or on Easter morning after hunting for eggs. I love all the gooey toppings! We have company coming soon and I can’t wait to make this for them. It looks delicious! This looks amazing! I love that you baked this! Great idea!